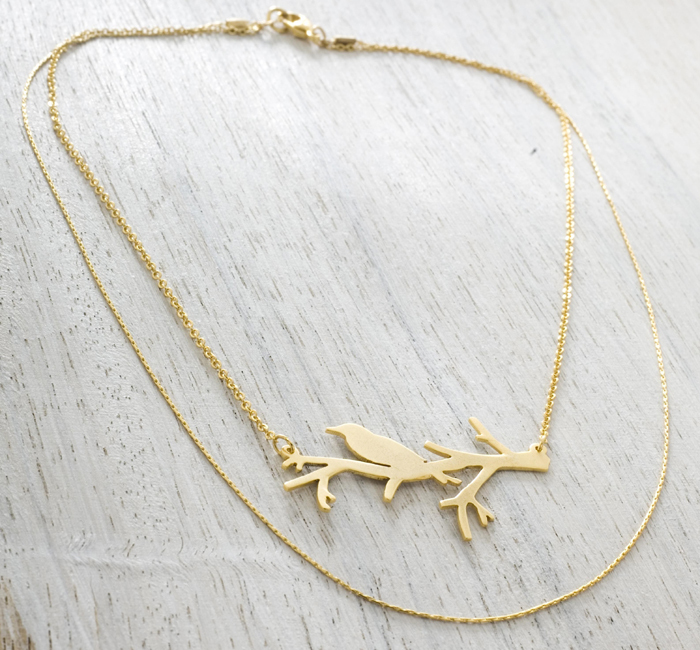 Shlomit Ofir's lovely necklace gold or silver plate depicts the silhouette of single bird perched on a bare tree branch. Israeli jewelry designer Shlomit Ofir is inspired by nature, and this necklace is an excellent example of how she realizes her inspirations in her work. Rendered in either silver or gold plate finish, a lone bird perches on a leafless tree branch. 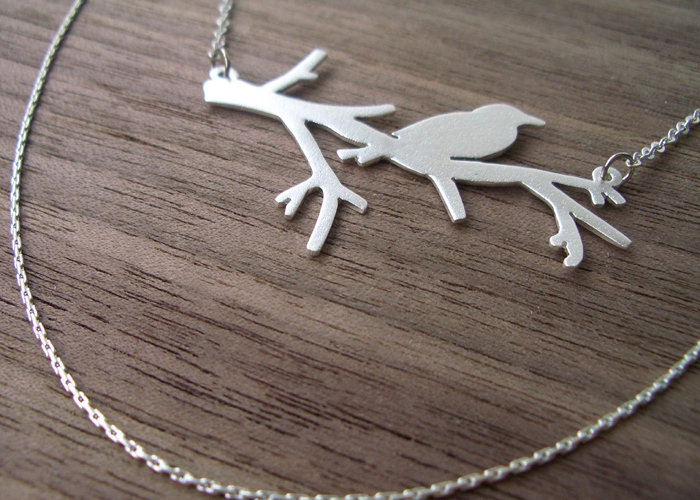 The bird and the branch are represented in silhouette, carefully crafted in a single piece. 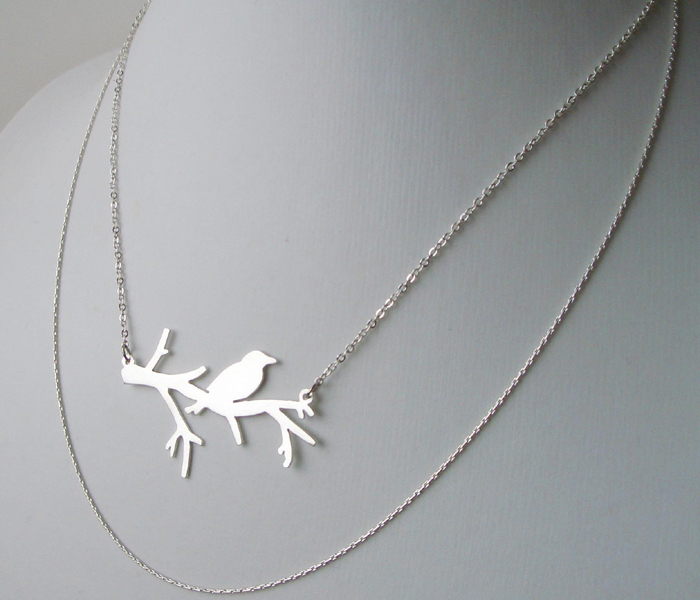 This necklace, like many of Ofir's pieces, repeats the double chain motif, with the bird-and-branch element suspended from the shorter one, which is silver plated. The longer chain hangs below the bird, adding an extra dash of originality to this fine example of modern Israeli jewelry design. The bird design is crafted from hand-cut matte-finished silver or gold plate. Bird lovers, jewelry lovers, and anyone who follows the latest developments in modern handcrafted jewelry and Israeli gold and silver jewelry will appreciate this special piece. The pendant measures 1.8'X0.8'. The shorter of the two chains is 16.5 inch (42 cm), the longer one is 20 inch (50.5 cm).